The Spa Valley diesel gala to start the month. 458/5 on test. 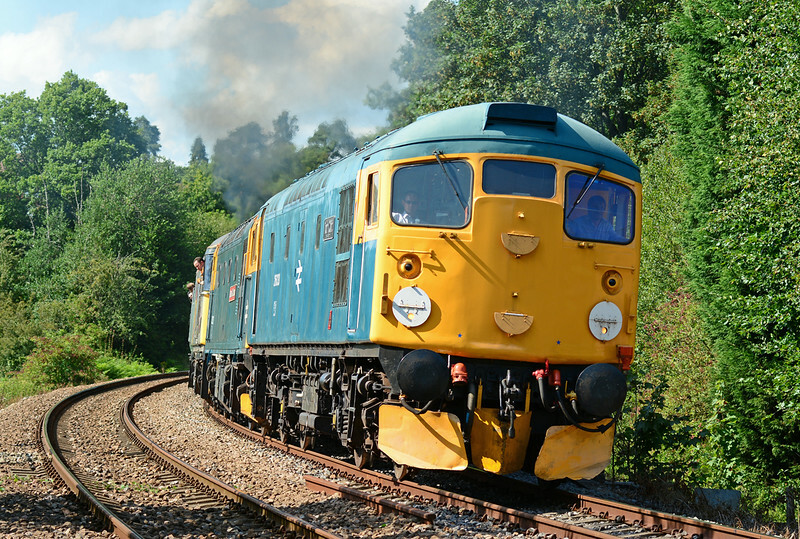 A Sulzer triple header, 26038,33202 & 33063 power past Forge farm crossing during the Spa Valley diesel gala 03/08/2014. This is the first time I have photograped 26038, & she sounds as good as she looks. A fitting tribute to the late Tom Clift.